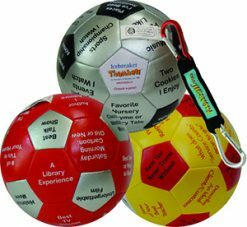 "Thumball™ is an educational and therapeutic game that is also fun. When has so little done so much for so many?!" "It really is our son's favorite toy. 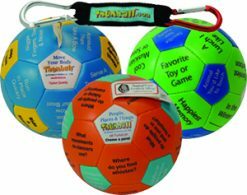 We play for hours and always think of something new to try. 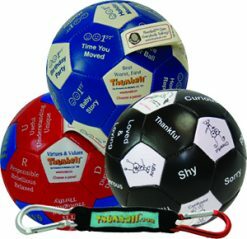 Thumball gets our family laughing and thinking." "I love it! It is a great ice breaker. 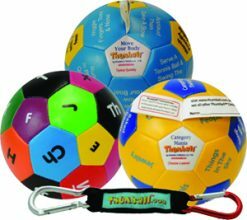 All business trainers should use Thumball." 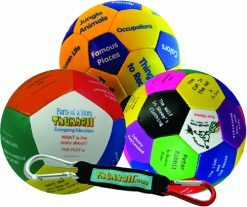 "We started our Bible Camp this year with the Who Are You Thumball and it was great. Everyone wanted a turn and was getting to know each other in no time. I will keep using it all summer long." Website Design by Fuzzy Dice Design, Inc.